Love To Crop! 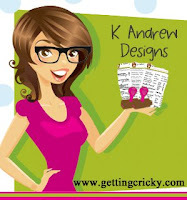 : Getting Cricky Holiday Wishes Blog Hop!! your ENTIRE Stamp Purchase!! Woot-woot!! 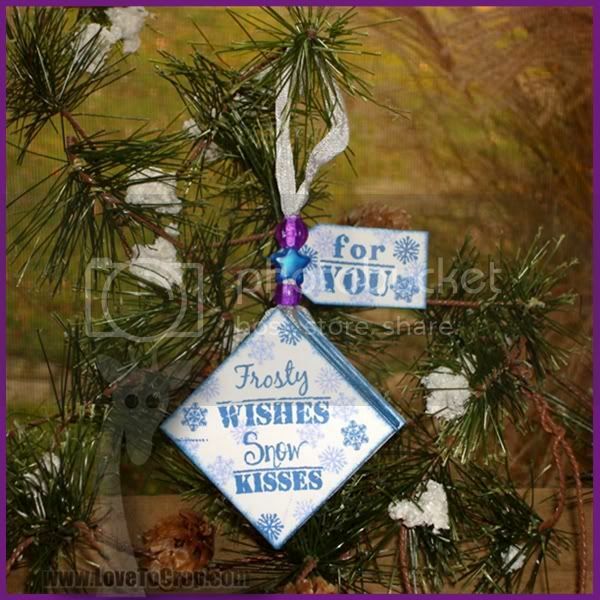 I made this nifty little ornament/tag... Of course, things never are what they first seem with me, are they??? 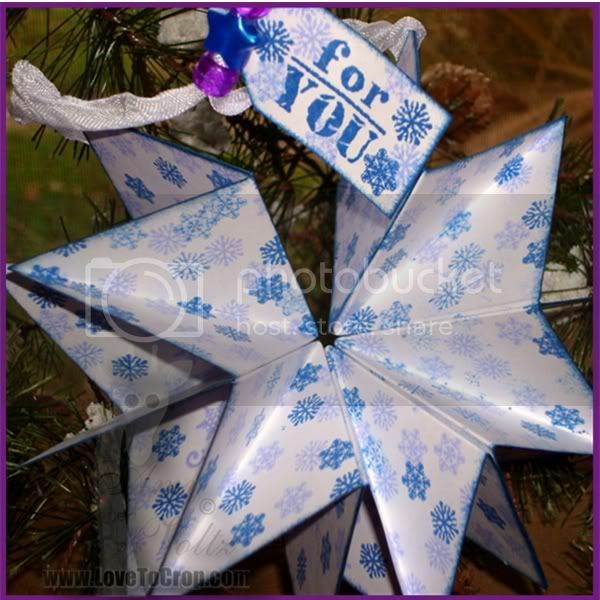 How pretty would that be hanging on a tree or from a garland??? And what a FUN little addition to a present or gift bag!! I love the ornaments especially the white and blue ones. I am looking forward to spending precious time with my family. I have lived away from them for several years and moved back so now time to catch up! Oh Amy! I love this! What a fabulous little surprise this "tag" is! Thanks so much for the link - I cannot wait to try this! I'm looking forward to putting up the holiday decorations and tree! Beautiful! I look forward to spending time with my family! Amy, I love everything about this project. It is like a little magic trick. I will be watching the video tutorial. 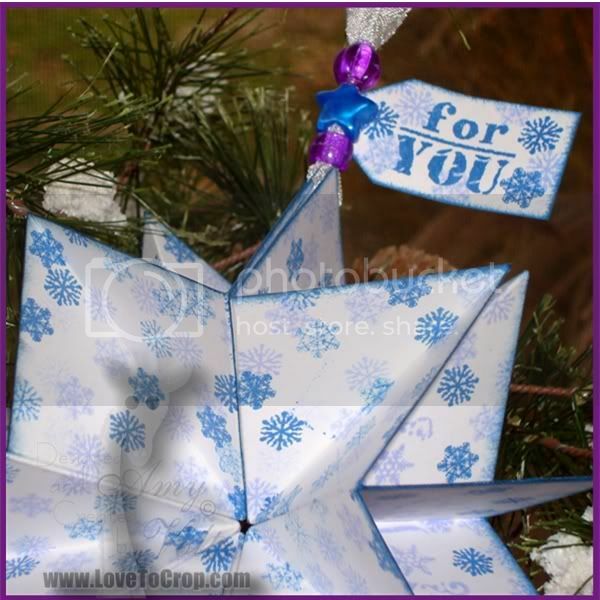 The way you used the snowflakes is adorable and I love that you did it in two shadesof blue. All of the inking and the wonderful sentiments makes this theperfect package. LOVE IT!! Amy Amy Amy!!! How do you do it girl? You are simply amazing. You do all this behind the scene work and then you rock out these stellar projects. This is just amazing. I am in awe of you girl! Are you kidding me???? OMG, this is the most amazing project - how in the world do you come up with something so fabulous for every single hop you are in?? I must know how to make this, so drop everything, tell your visiting kiddos mom is busy and put together a tutorial for me!!! Just kidding...(sort of ;) This project is beyond SF, it is just spectacular my sweet friend!!! Love, love, love it!! That's it . . . I am coming to YOUR HOUSE so we can craft together! I used to think I was creative, but you take the cake girl! I NEED to make one of those!!!! WOW! This is awesome! You amaze me! These ornaments are awesome! I'm looking forward to spending time with my extended family this holiday season! Amy Amy Amy how did I know that it wasn't just a simple little Christmas Ordiment? This is amazing great job. Really Can't wait for my set to arrive, love the way you made the background paper!! This is such a super idea! Love it! I am looking forward to spending time with my kids! Oh my, that is just the cleverest ornament ever!! I just received my stamps and am discovering all sorts of word/phrase combinations. Thanks for being so helpful and supportive to the new DT members. OMGoodnes Amy this is AMAZING!! You are one talented Lady! TFS!! WoW! Best ornament I've ever seen. Great job! You out did yourself again my crafty friend! Love the ornaments!! I think I am looking forward to some quite time with the hubby. I am really hoping that wish comes true!! This is GORGEOUS!!! Thanks for giving us the link to try this at home!! LOL! 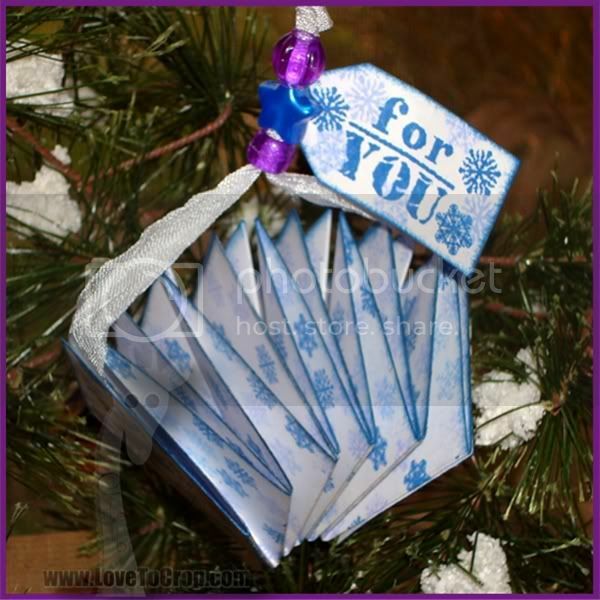 :) I will def be making some of these! Cool ornament. I am looking forward to spending time with my hubby watching football. Wow Amy your project is amazing!! Im glad to be in this great Dt. wow just beautiful. can't wait to try this one. OMG! These ornaments are truly amazing. I am most looking forward to spending quality time with my hubby as we both will be on vacation. But I also do plan to look into a possible 5K too. Already a follower. That is totally amazing! I'm going to watch that how to video now! Awesome project!! Family time... that's what I'm looking forward to! TFS! Wow Amy! This is fabulous! Now that is some paper crafting going on there! What a fun project, TFS! OMG,that is so amazing. I love it. I'd love to see a tutorial. oh now that is Clever! and pretty! Lovely ornament! Great job! I'm looking forward to spending time with my family! 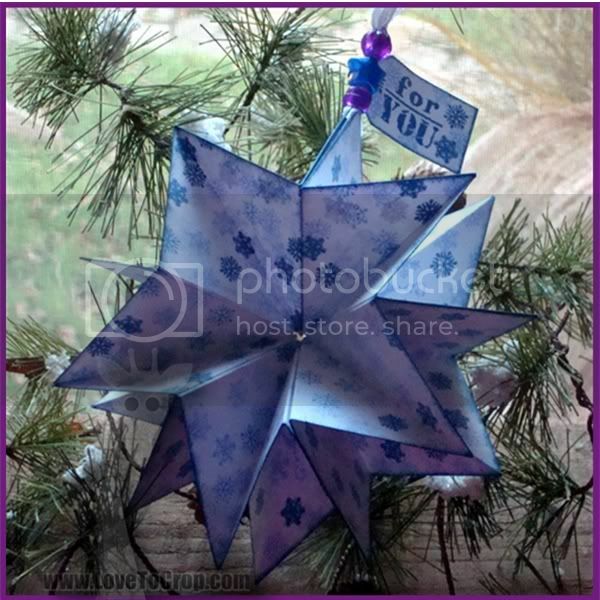 How beautiful Love Love the Ornament/ Tag Its Awesome. cant wait to try it. love the Snowflaks. Amy this is fabulous!!! I love the element of surprise as it opens up! What an awesome idea! Great job! I am looking forward to spending time with family and friends this holiday season and getting some baking done :)! I have one of these on my list to make. Great job Amy! What an amazing ornament. 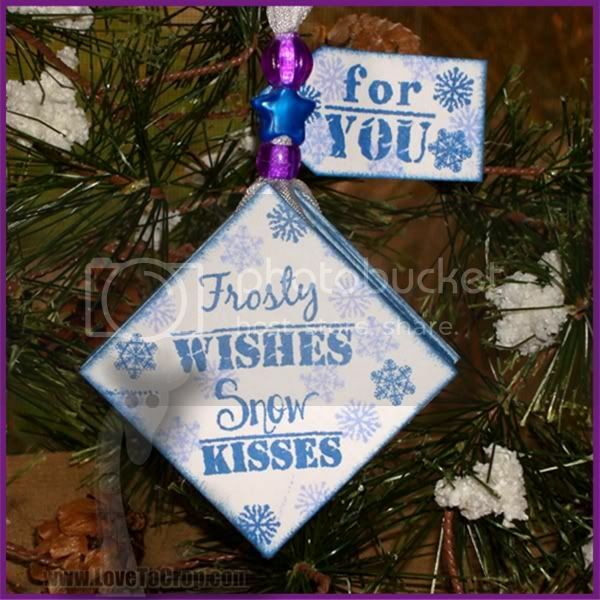 Love the frosty blue color you used and the sentiment is wonderful. Wow!!! Amy, an explosion ornament! You blow my mind. You are so creative my dear friend. This is just beautiful and so much fun. This is absolutely stunningly beautiful Amy. WOW! Thanks for sharing this beautiful project. Wow! 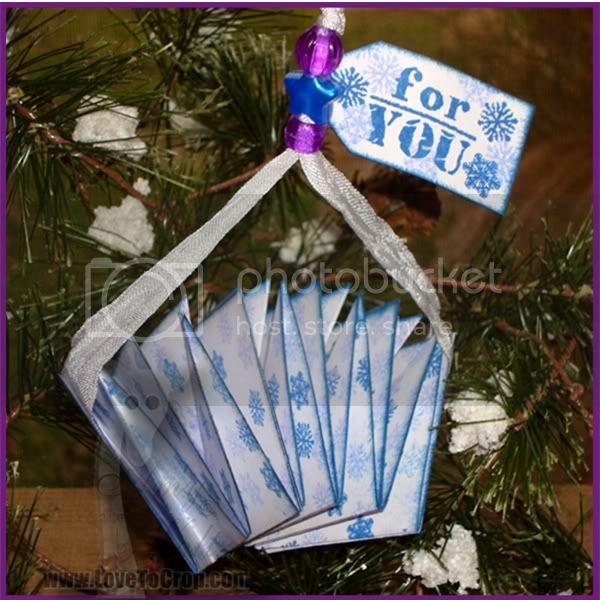 I love your surprise ornament tag! Great job on it! I'm most looking forward to having a few days off work so I can relax a bit with my family. Your ornament is fabulous! Love it! Thanks for the inspiration! wow you sneaky little vixen, that is stupendous!!! This is amazing!!! I love your creations. You did a great job. It's cool to get such a surprise from what appears to be a simple ornament. Glad to be a part of the team with you. Sister hugs!!! Looking forward to lots of baking! I think I am most looking forward to school vacation so we can all hang out, decorate cookies, watch Christmas movies, sip hot chocolate...decorate! I can hardly wait! That is soooo awesome! I didn't expect it to open like that. You could even stick pictures in it. Great job. I can't wait to give this a try, love the colors you picked. We just celebrated Thanksgiving with my husbands dad and family, so for Christmas I am looking forward to celebrating with my mom and family. I love all of these blog sites. I am a new follower and The one thing I want most for the holidays is for my husband to be able to see his parents! It'sbeen along time and I am hoping to get him there for christmas! Thanksforsharing allyou beautiful ideas!! That is so cool!! Thanks so much for sharing your tag/ornament. I really love how it opens up to that cool start like shape.